By Paola Gutierrez Velandia – Director of Spain and Latam / Head of Corporate Governance for Georgeson, the world leader Proxy Solicitation company with 14 offices around the world and more than 4.500 listed companies as clients. Sadly, governance and compliance are two terms that companies and consultants in Spain have mixed without distinction, despite the high level of penetration of foreign investment on the ownership structure of issuers. The level of against votes at the AGM’s has set some kind of private enforcement that has encouraged companies to realise the importance of getting to know and engaging with their investors and international practices. Part of the problem is that it is very difficult for companies to know who their shareholders are. Historically, the Spanish market has not used share registers. Instead, companies receive a document called the X-25 from clearing houses, which only allows them to see global custodians. Companies that wish to know who their shareholders are, must hire external providers to identify investment advisors. They then need to understand the profile of those investors to differentiate passive investors from those who are actively interested in corporate governance issues. This takes a lot of effort – and expenditure – so it is reassuring to see Spain’s top companies see the value in engaging with shareholders. In fact, Ibex 35 companies are finally coming to understand the importance of establishing ongoing dialogue with investors around their governance practices, as well as appreciating the value of the feedback investors give during the road shows. In addition, more companies appreciate the distinction between simple compliance and the adoption of international corporate governance best practices. Companies are increasingly trying to understand what is expected from them before engaging in dialogue with investors. As such they are publicly disclosing their governance practices to mitigate any perceived risk from deviating away from international acceptable practices. The aim is to give investors a 360-degree view of the governance structure based on the internationally recognised cornerstone principle of ‘comply or explain’. Increasingly, companies that engage with investors understand the role that governance teams play inside investment organisations, and are realising that not all institutions vote automatically in line with proxy advisors. Therefore, companies are coming to understand that, while proxy advisors have an important role as the starting point for a preliminary analysis, the fiduciary duties of investors are not transferred to proxy advisors. As a result, the 2013 and 2014 proxy season results show that good governance practices and effective shareholder engagement are becoming a central priority for those companies who want more productive outcomes from votes at their AGMs. 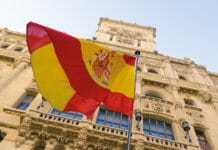 How can a shareholders spring be exercised in Spain? Shareholders representing at least 5% of the capital stock may request that a supplement to the call of General Shareholders’ Meeting be published in order to include one or more items on the agenda. This right shall be exercised by sending a certified notification that must be received at the company’s registered office within the five days following the date when the call of the General Shareholders’ Meeting was published. The supplement to the call, if any, will be published no less than fifteen days prior to the date of the meeting, at first call. During the same period of time described above, shareholders representing at least 5% of company equity may also present proposals based on matters already included or which ought to be included in the agenda of the already called General Shareholders’ Meeting. Also with shareholders representing at least five percent of the capital stock may request an extraordinary EGM. There’s a current Bill that is pushing to decrease the threshold to 3%, allowing dissidents to get access to the x-25 or x-23 which is the current way to know shareholder structure of the companies given by the Central Depositary named Iberclear. 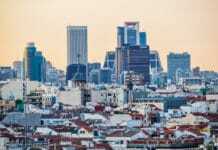 Institutional investors, especially foreign investors have opted by voting against items on the agenda, however Spain has witnessed several proxy fights during the last couple of years. Governance for Owners included an alternative proposal to the management proposals and include new items on the agenda, not only on issues related to corporate governance but also asking the company to include in the by-laws a minimum pay-out for shareholders. All in all with the changes on corporate governance structure that the company was already undertaken G4O had to vote against its own proposal. In 2014 Luxempark and Damm two minority shareholders with 6%, challenged the incumbent Director calling an EGM asking for the removal of the entire board for egregious acts and fraud account in Pescanova, winning with 70% of the quorum. Most companies are becoming aware of the importance of increasing the participation of shareholders in the general meetings. Usually Spanish listed companies had a strong core capital. With the crisis, BFA and saving banks had to sell their participation in most of the companies elevating in most of them the level of free float. When analysing the percentage of capital which has attended the AGM’s it should be taken into account that the real support that companies receive depends on the level of assistance of the Free-float to the general meetings. As shown in the graph, the participation curve is inversely proportional to the level of Free-float. Companies with a low level of Free-float have a secured level of participation, which corresponds to the significant shareholders of core-capital. For instance, a company with a 99.89% of Free-float and a 67.86% of participation will have, in practice, a greater participation of investors integrated in the Free-float (as shown on the graph above for company number 1); to one where the level of participation is similar (69.50%) but its Free-float is 42.50% (as in the case of company number 25). In the 2013 Proxy Season, for companies in the Ibex35, 148 points were included in the agenda related to the composition and structure of the Board of Directors; 64 points on the agenda received recommendations against while 84 items of the agenda received positive recommendations, we appreciate a slight decrease on negative recommendations regarding 2012 season. In the 2013 Proxy Season, 122 of the points in the agenda was related to the appointment, reappointment and ratification of Directors. These have received at least one recommendation against, 50.82%, and 49.18% received a positive vote recommendation. The trend of negative votes against was in line with last year, the results of our analysis reflect that most of the negative votes focus on companies with medium-low Free-float (segment from 30-50%). Those companies who engaged with investors had less risk to be impact by the negative recommendation of the proxy advisors. External Independent Directors (26% of this category). The percentage of recommendations against cannot be read in absolute numbers, as the number of internal directors whose appointment, reappointment or ratification is proposed to the shareholders general meeting has been lower than the external directors. There is an over-representation affecting the independence of the board. Most of the proprietary directors are also directors on more than 4 Boards in other listed companies. Are members of a committee that has failed in the proper performance of their duties in matters related to the audit of the company, retribution or appointment of directors. They have been for more than 12 years in the position. They did not accomplish the cooling-off-period. 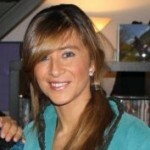 Are also directors in more than 4 other listed companies. Their income consists exclusively of the remuneration they receive for their position of Independent director. Regarding gender diversity on the board, in 2013 19 women were appointed, reappointed or ratified as directors; from which at least one proxy advisor recommended voting against for 26.32% and 73.68% recommended voting for. 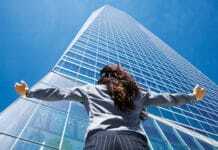 Investors do not seek to promote the presence of women on the board, but competent women with experience and that are not present in more than 4 boards in other listed companies. At the beginning of 2014, the government carried out a study in order to proposed amendments of the legal framework on Corporate Governance for the Spanish Market”, and appointed Commission of Experts on Corporate Governance. This group of experts was commissioned by the CNMV (Spanish Securities Commission) to draft a study on the current state of Corporate Governance in Spain with the aim of proposing measures to improve the governance framework of listed companies. 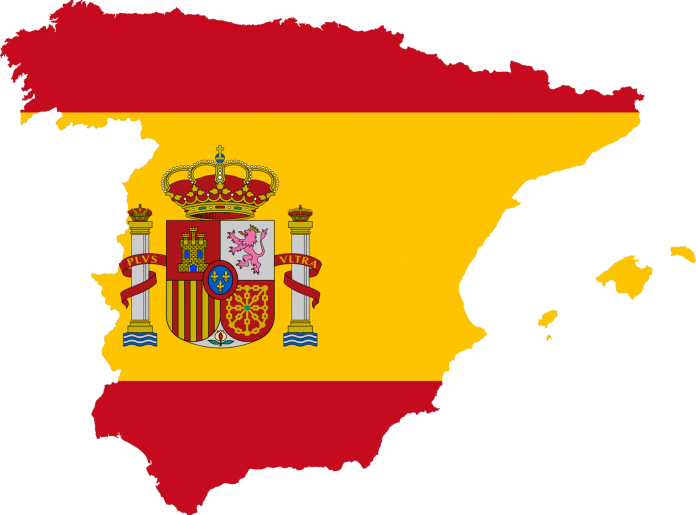 There is no doubt that the proposed amendments incorporate notable improvements to the existing legal framework on Corporate Governance in Spain. However, there are still areas for improvement, for example the Commission said nothing about the problems related to the cross boarder voting, the chain of custody, or the lack of regulation on proxy fights among others. Two legal reforms are taking place at the same time; the reform of the commercial code and the securities legal framework. On Friday 30th of May, the government announced both legal initiatives would be merged into one, and would be incorporated in the Commercial Code reform.